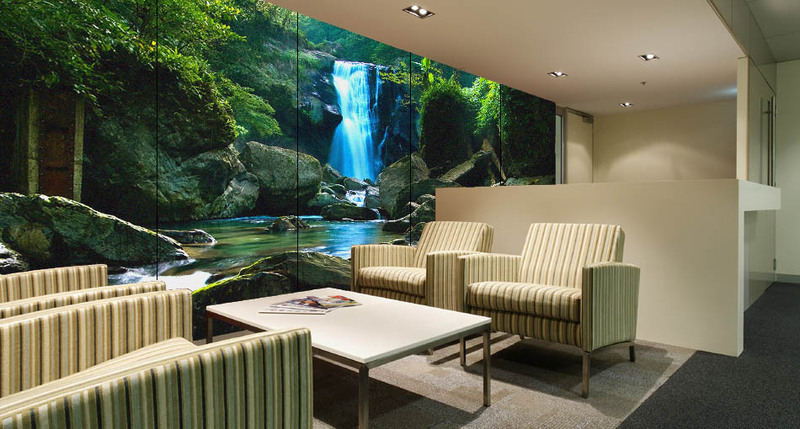 Printed glass wall cladding is suitable for both internal and external walls. Full colour, digital printed images on glass is often used as an architectural feature in restaurants, pubs, shops, office reception areas, nightclubs and in many other applications such as cupboard and drawer fronts or as an outside covering of buildings. The glass can be back lit or directly fixed to a wall. Glass cladding is ideal for wet areas such as kitchens, and bathrooms. Cladding can be a great way to give bland spaces that much needed amazing change, especially if it’s printed on. Talk to us today about how we can improve your space with Glass Wall Cladding.